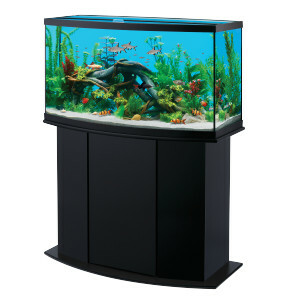 Hey I was just wondering, I may be moving soon, and wanted to know if there is a specific place where you could get the cheapest aquarium stands, because the new house may not have a spot like I have in the house I have right now. Thanks. How large is your aquarium? The size will have a big impact on where to buy stands. That’s actually a pretty common size, so you could probably get on very cheaply second hand. I’d try Kijiji or craigslist first (depending on what country you’re in), and if there’s nothing there, then I would try either Petsmart of Petco after that. They have the cheapest small stands in the size you’re looking for.